Will Marcus Morris Start for Celtics? With a lot of assumptions on who will start this season, the general public agrees that Marcus Morris will be a regular starter. The question is, when can we count on him to be a reliable option comfortable with the team’s schemes, as well as his teammates? Thankfully, his court case has concluded, and he is finally with the team. 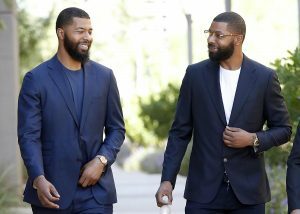 He and his brother, Markieff, were acquitted of all charges, so the twins won’t face any suspensions. It is a blessing that Morris joined the team before the regular season started. While I outlined a few possibilities for the starting lineup in his absence, he might be ready to start in the first game of the regular season. 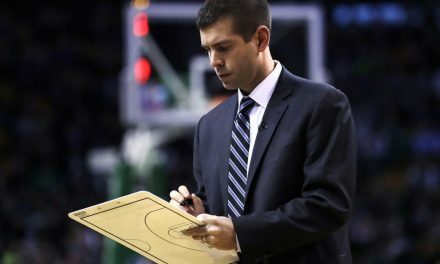 Stevens didn’t play him in his first game with the team because he “didn’t want to throw him into the fire right away.” Thankfully he is acclimating in the preseason, and there are still two games left for him to get up to speed. Despite knowing well before game time that he wouldn’t play on Friday night against the 76ers, Morris suited up, headband and all. He went through warm ups and sat on the bench with the team. Further, he was arguably the loudest cheerleader on the bench all night. It was great to see a guy bring that type of energy after just joining the team. It is clear that he is happy to be a part of the Celtics and excited to get back to basketball. Nothing but love for Detroit!! Thanks for everything. Time to get to it ☘️☘️☘️☘️☘️☘️☘️☘️☘️☘️☘️☘️☘️☘️☘️☘️#BostonGottaDOG!!!!!! The team will count on him to bring that energy and intensity, on and off the court, in practice and games. This team lost some of its ferocity with all the off-season moves, but there are still guys capable of bringing it. Morris is one of those guys. He prides himself on being a hustle player that won’t back down from anyone. In the first preseason game against the Hornets, the Celtics tried to figure out how to play together. Unlike the Celtics teams we as fans are used to, there was a sense of shyness and everyone just playing nice with one another. In the second game, Morris was very vocal, albeit from the bench, and the players fed into it. This is going to be key for these guys building chemistry on and off the floor this season. They need a guy willing to break the ice with a strong voice because of all the newness. Morris came in and did just that in a matter of days, without even seeing the court. In case you were wondering, he’s ready to go to work. The Celtics badly need someone to fulfill this role this year, and Morris relishes in it. The other Marcus on the team will appreciate Morris for making things a little easier on him in this regard. I anticipate these two being the loudest on the team. Together, they will hound opposing teams and make things uncomfortable. Another guy that brings an intensity the Celtics have lacked in recent years is Aron Baynes. He brings an ability to take up space and be an enforcer in the paint, especially defensively. 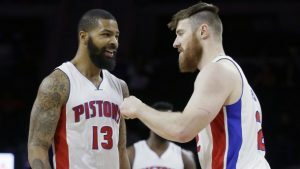 Morris and Baynes played together on the Pistons and were both enforcers. Look for them to do the same in Boston. Besides toughness, Morris brings another wing player capable of playing both ends of the floor. In two seasons with the Pistons, he averaged 14 ppg. In February 2017, he had two 35+ point games, so he has shown he can step up when the other starters are struggling offensively. He is a more than capable scorer, but also a guy willing to make the extra pass when necessary. He won’t disrupt the flow of the offense, making him a good fit with the first unit. 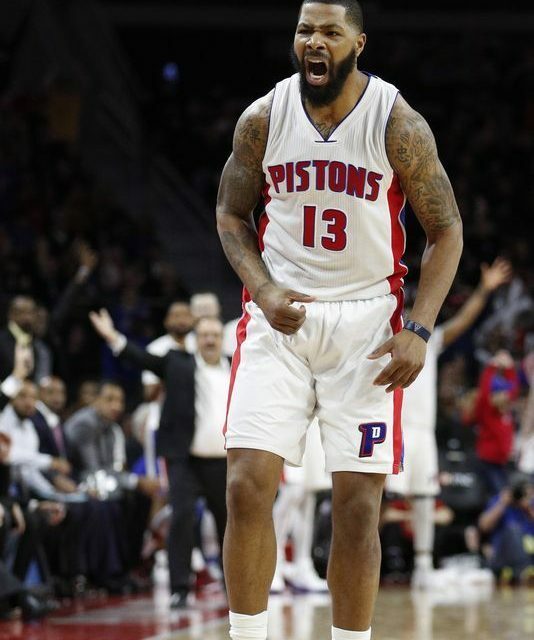 While he has never been a beast on the glass, averaging 4.2 rebounds on his career, playing with Andre Drummond didn’t allow him to pull down as many boards as he could have. Playing next to Horford in the starting lineup should spike his rebound numbers. Morris also does not get enough credit for his defense. We know he is willing to be the bully, but can he actually stay in front of his man? Will he be able to switch defensively when he needs to? If his performance against Lebron James in the 2016 Playoffs was any indication, I’d say he’s an underrated defender capable of more than he has shown on a nightly basis. James had has his worst playoff series guarded by Morris, averaging 23-9-7 on .49/.21/.73 shooting through four games. Not bad numbers, but Morris was able to keep James mostly out of the paint. A quarter of his shots were threes, uncharacteristic of James. 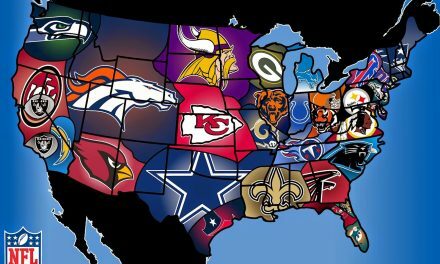 Playing for a contender should bring out the best in him on the defensive side of the ball. 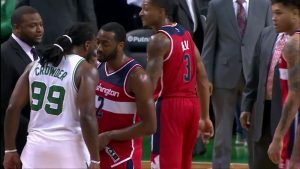 The Celtics-Wizards have created one of the newest NBA rivalries, eclipsed by a seven-game series in last years playoffs. However, the instigators in Isaiah Thomas, Jae Crowder, Avery Bradley, even Kelly Olynyk and Jonas Jerebko are gone now. Morris is a trash talker and would normally love to be involved in these types of games, but his twin brother is on the Wizards, making this “rivalry” all but nonexistent shortly after its start. It will still be fun, however, to see the twins go after each other, as it always is. If it weren’t for the jerseys, it would look like there was some sort of mirror on the court. They even have all of the same tattoos, making it borderline impossible to distinguish between the two. 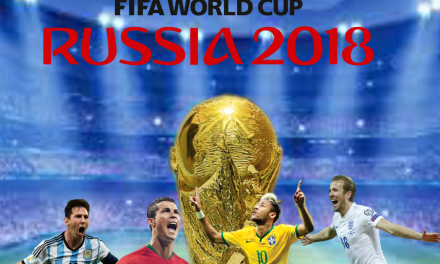 There has even been a conspiracy that one has suited up in place of the other because of injury, and honestly, there’s no way to tell if this has ever happened or not. 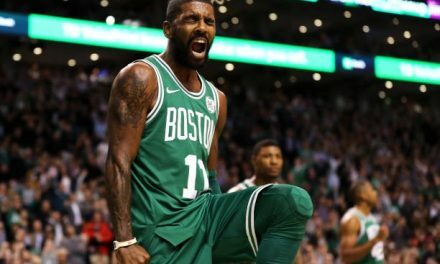 It is one of the more hilarious conundrums in sports, and while I doubt it has ever happened or ever will, it’s fun to act like the Celtics have a backup Morris in the playoffs after they inevitably take down the Wizards, again.